While cork flooring may seem to be a relatively new flooring product in Edmonton markets, it has actually been used as a flooring material since the later portion of the 19th century. Cork flooring is fast-becoming a popular choice among people concerned about their carbon footprint and potentially harmful VOCs that are emitted by other materials. Not only is this product natural, it is highly resilient and absolutely beautiful. Grown predominantly in Southern Europe, cork oak trees shed their bark naturally and it is the shed bark that is used to manufacture cork flooring. Since these trees can live as long as five hundred years, there are strict regulations in place that prevent the trees from being destroyed to manufacture the flooring. Torlys entire cork collection that is available at Action Flooring in Edmonton is the first line to be certified by the Forest Stewardship Council®, meaning rigorous conditions have been met to ensure the forests are managed responsibly throughout the manufacturing process. A natural acoustic barrier, helping to reduce noise. Hypoallergenic properties that inhibit mold and mildew and other organism growth. Comfortable to walk on due to its spongy nature. Easier to maintain than most other flooring types. Resists stains and scuff marks. Naturally absorbs shock, making it ideal for young children and people who suffer from joint pain. Also limits breakage when items such as dishes are dropped. The characteristics of cork flooring that provide so many benefits can also work against its durability. It is a soft substance by nature so it needs to have a proper finish applied to help protect its beautiful colouring and smooth surface. Torlys cork flooring with Smart Finish is 50 percent more durable than finishes used in the past. It is now the strongest, most durable and environmentally friendly finish created by Torlys to date. An added benefit is the CorkPlus™ underlay that is attached to the flooring and contains Microban® for extra microbial protection, warmth and comfort. 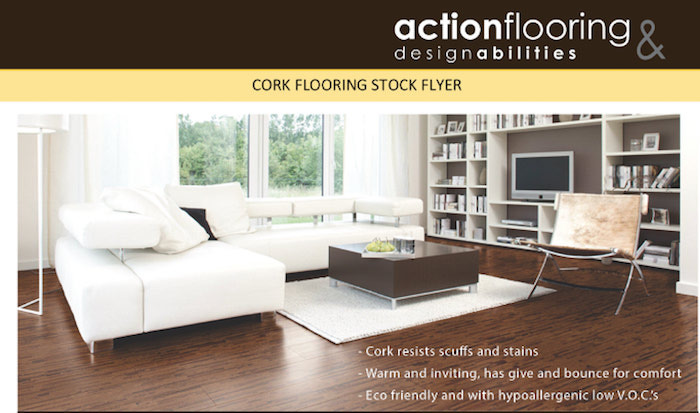 Action Flooring would like to invite you to come in and view the full line of Torlys cork flooring during our product promotion. 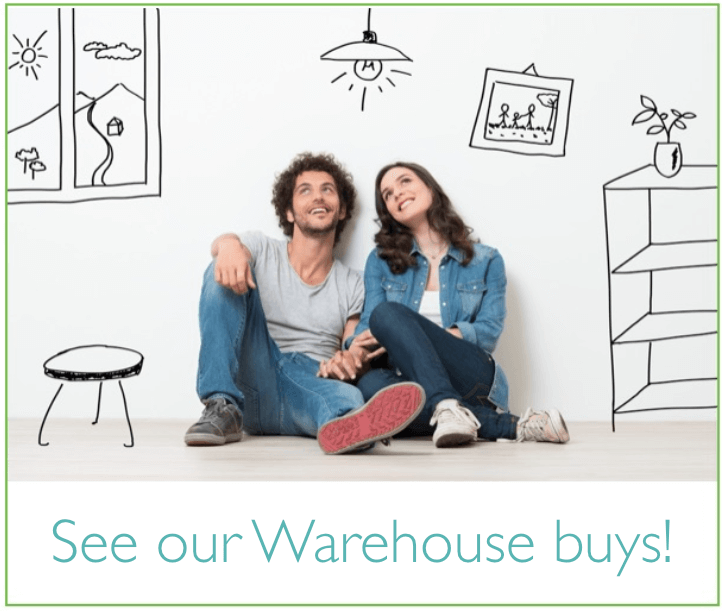 You can save as much as 50% off the cost of cork flooring for your Edmonton home during this amazing event! Visit our website for more information or stop in and see the beauty of cork for yourself.